Richard Francis Burton was born on 19 March 1821, the eldest son of Captain Joseph Netterville Burton and his wife, Martha. He had a peripatetic childhood living on the continent as well as in England. His father wished for him to become a clergyman and therefore Burton was sent to Oxford in 1840 but managed to get himself ‘rusticated’ by attending a steeplechase against University rules. Burton joined the Bombay Infantry of the East India Company in 1842. This was the start of his explorations and detailed recording of all that he saw. Burton was a very able linguist passing out top in the Company examinations but he was also interested in geography and ethnography including dialects and customs. Burton, as part of the Survey Company, made detailed topographical, ethnographic and linguistic notes resulting in the publication of his History of Sindh. His life was full of travel and writing – exploration and recording of his discoveries became a lifelong passion. 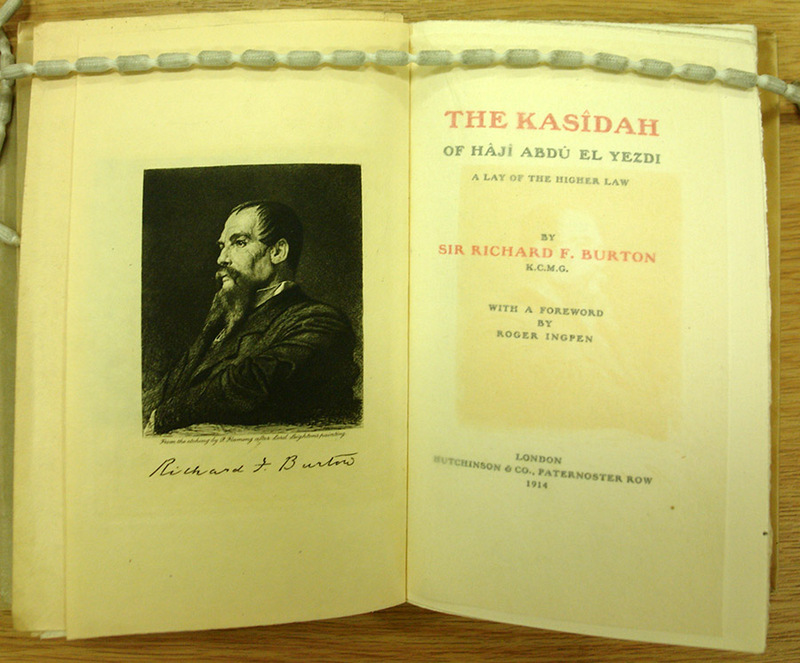 His travels included going to Mecca and Medina in 1852, disguised as a Muslim, and an expedition to attempt to find the source of the Nile under the auspices of the Royal Geographical Society of which he was a member. He visited North America in 1860 before marrying Isabel in 1861. Manning went to Bioko (Fernando Po), West Africa to take up the position of Consul. In 1865 he was appointed British Consul in Sao Paulo, Brazil, where Isabel accompanied him, and then subsequently in Damascus. In 1872, they moved to Trieste to work in the Consulate and from here he explored the mines at Midian. In 1886 he was made a Knight of the Order of St Michael and St George. He died on 20 October 1890. Burton was a prolific writer and his travels provided him with material for many books. He was also a keen translator including translating The Arabian Nights stories and the poems of the Portugese poet, Cameons. 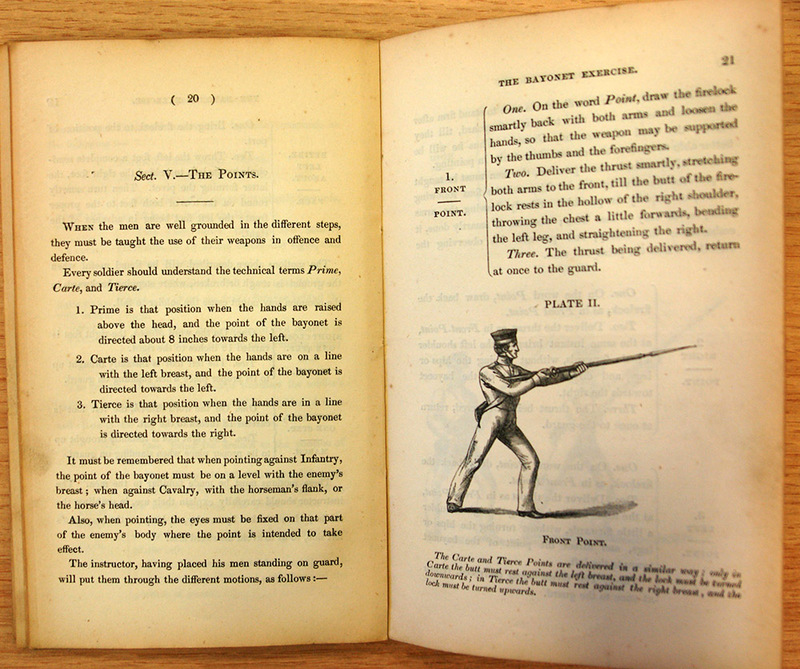 Many early editions and rare copies of his work are found within the Burton Collection at the Royal Asiatic Society. 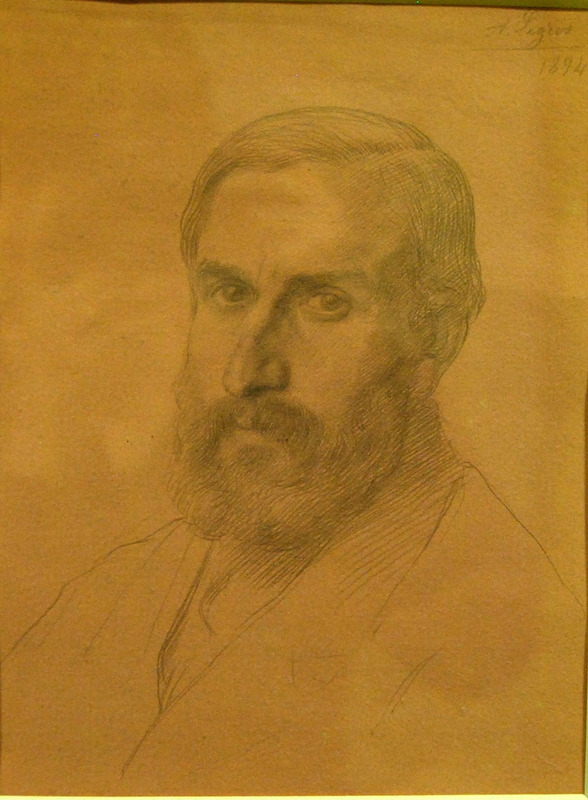 The majority of the Society’s Burton Collection of both papers and books were donated by Lewis Christopher Loyd in 1939. He acquired the material upon the death of Oscar Eckenstein, and the papers have correspondence about the acquisition of the Collection by the RAS, including the need to purchase of a bookcase especially to house the material. Oscar Eckenstein was born on 9 September 1859 and became a renown climber and mountaineer, being a pioneer in the sport of bouldering. He invented the Eckenstein crampon and was the leader of the first serious attempt on K2 in 1902. The books may be searched in the Library Catalogue and the Papers are catalogued on to Archives Hub. More information about Richard Burton and Oscar Eckenstein is available on our blog.